From Scotland, Australia and the breadth of Canada, we at Twa Dogs have all made Victoria our home. Something in our DNA drags us to the west coast and fills us with a feeling of connection. A sense of belonging; as though we’ve somehow returned. 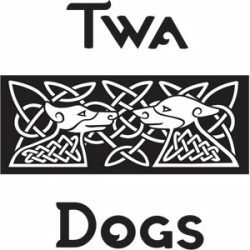 The Twa Dogs are beers brewed for those of us that love this part of the world and feel the same connection to it. Influenced by our travels and many ports of call, but still firmly connected to here.